You might have seen this t-shirt design making the rounds on your facebook timeline. It's from SNORGtees and you can buy it here for $19.95. But that's not the only design they offer. I had to chuckle at the next two (click photos to go to store). Yeah, a cation is a real thing. (For those who like to get their geek on, it's an ion with net positive charge, having more protons than electrons. In electrolysis, cations migrate to a negatively charged cathode. But wait! there's MORE! 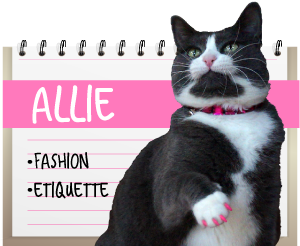 Head on over and browse through their online shop to discover all their cat - and dog - and bunny! - designs. Very nice! We're gonna check the store! Wow they are clever. 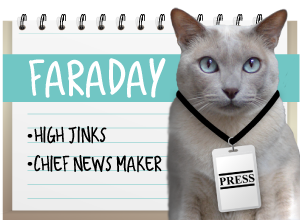 Have a fabulous Friday. not quite sure why Pavolv failed.. every time I even THINK of touching a treat bag (or anything that sounds remotely like a bag that treats come in) my whole crew comes running.. HAHA!!! 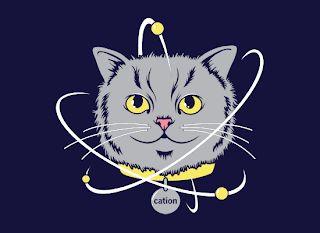 Cation! LOL. Talk about chemistry. 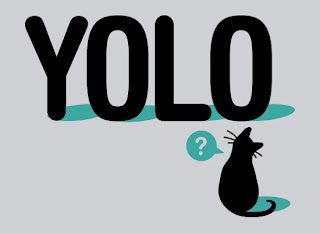 Alright I've been staring at "YOLO" for way too long now...the lightbulb has just come on and I think I have it now...It's bad when a t-shirt is smarter than I am BOL! 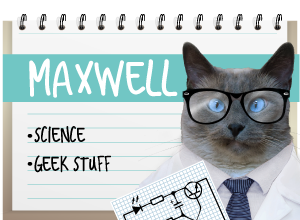 Golly Gee Whiskers more geeky cats like us'es! Dad has that shirt! He wore it last weekend in fact. That is one thing he misses now that he is work at home. Showing off his cat shirts. 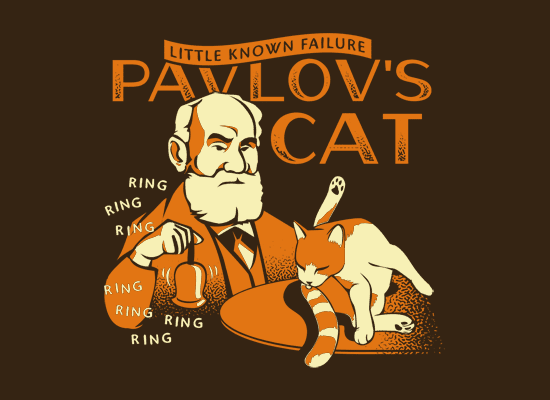 yep I have for sure seen the Pavlov's cat thing, too funny! Are you following me on pinterest? ...I'm always trying to sneak cat tee shirts into Gloman's stack. HAHA! We love the YOLO one!! These are great! Mommy is a scientist and she LOVES the CATION! Me LOVES the cation shirt!